Brooke grew up with an aptitude for math, an eye for photography, and graduated with a dual degree in business and fine art. Thirteen years ago, after living and working abroad, Brooke began her career with a position in the operations department of a leading luxury travel company. Brooke rose through the ranks and took on all facets of the job. She learned the potential issues that can arise on a trip and more importantly, how to avoid them and how to manage expectations. She quickly understood that the making of a successful trip is attention to the smallest details. It is this invaluable experience that serves as the basis for Brooke as she designs client itineraries. With expansive destination knowledge covering over 50 countries and some of the most remote parts of the globe, Brooke has been recognized as a leader in the industry and recently celebrated her fourth consecutive year on Travel + Leisure’s A-List. While Brooke’s travel adventures would take pages to relate, some of her more recent memorable experiences include learning to fish with an Aboriginal community in the Kimberley, a private weeklong helicopter tour of the Scottish Highlands, and trekking with the Gorillas in Rwanda. Brooke is an accomplished photographer, and her images offer a glimpse into what it means to travel with MAYAMAYA. Robyn has spent the last 9 years in the luxury travel and concierge world. She began her career in fashion and her eye for style and design is apparent in hotels and destinations she loves most. Robyn often forms close bonds with her clients. As a testament to this, she has a loyal following of travelers who have entrusted their family and friends’ trips to her for years. A fourth-generation New Yorker, navigating a city is part of her DNA. But she couldn't survive urban life without weekends in the mountains or at the beach. On a recent trip to Chile, she reveled in the exquisite food and wine experiences in Santiago as much as she loved snow shoeing up a volcano while staying at Hacienda Vira Vira in the northern Patagonia lake district. Robyn spends a significant amount of time personalizing every trip she plans and finds it immensely satisfying finding the perfect guide, restaurant or shop to match each individual. Being the mother of two young children, Robyn knows first-hand both the joys of exposing young eyes to the world and the logistical requirements that are needed. She loves planning family trips that combine relaxation with fun and new cultural experiences. With an ever curious mind, Matt discovered that outside of academia, travel was his preferred form of education. 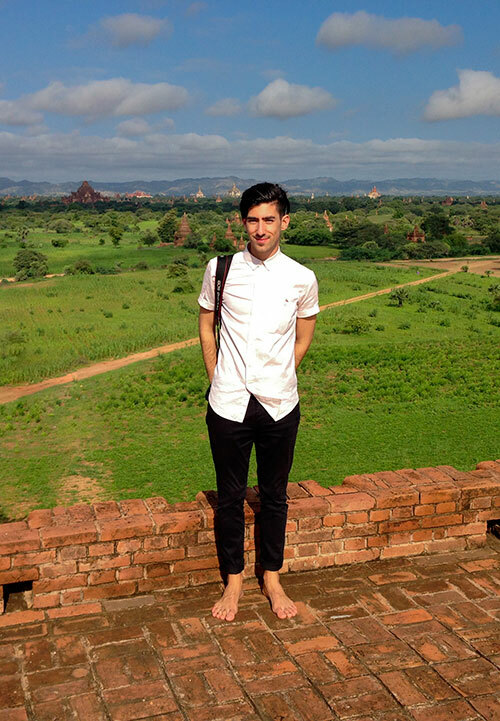 After having studied six foreign languages and earning a degree in international relations, he decided to apply his passions for education and cultural exchange toward a career in travel. Over the past 9 years in the industry, Matt has crisscrossed the continents scouting the newest luxury getaways and vetting the immersive experiences that connect travelers with the local people and places. In the office, he exceled across various functions during his time working at one of the world’s top luxury travel companies. Like Brooke, he began his career in operations learning the inner workings of the trade, mapping intricate logistics for destinations across the globe, and developing an acute attention to the minute details that can make all the difference in a trip. In addition to crafting bespoke journeys for his clients, Matt has also hosted intrepid industry professionals on educational trips to hidden shrines in Iran and between the tranquill temples of Myanmar. He tends to seek the less traveled path, whether that means meeting with nomads among the pyramids of Sudan, photographing remote reaches of the Bolivian salt flats, or searching for the most perfect yakitori in Tokyo’s back alleys. Katie chose to study Mandarin Chinese in elementary school, which was no surprise to her family as she had been infatuated with foreign languages and different cultures from a young age. However, it wasn’t until her time at university that she began to take this passion and apply it to the world. She traveled the globe; from Guatemala to Southeast Asia, and then lived in China for nearly two years. She graduated with a major in International Relations and launched her career in travel at a leading luxury tour company. Her years in the Operations Department not only taught her a great deal about planning travel and customer service, but introduced her to some of the finest properties around the world. When the opportunity arose for Katie to lead 30 “digital nomads” around the world for a year, she jumped at the chance to apply her skills and act as a camp counselor of sorts to a group of adults who would be living in a different city every month for a year, managing all of their travel logistics, accommodations, and coworking spaces in each city. Katie also made sure to embark on a noteworthy hike or outdoors experience in each country she visited. From trekking Mt. Toubkal in Morocco to hiking the mountains of Bariloche in Argentina, Katie is extremely active and loves being outside. Now having lived in 13 countries, Katie is excited to be back in New York, bringing incredible attention to detail and travel knowledge to the MAYAMAYA team as Operations Manager. Anita Ben was born in India, spent her childhood in Fiji, educated in New Zealand and Australia and is now living in New York. This diverse heritage has helped drive her desire to explore some of the world’s most exotic and interesting destinations. Before joining MAYAMAYA Anita founded and led the women’s fashion brand anu, specializing in elegant, traditional Indian aesthetics within a contemporary design. This work led her through the subcontinent working closely with local artisans, allowing her to experience everything from the blue streets in Jodhpur to voyages through the backwaters of Kerala. It was love for art, culture, architecture and design that subsequently led Anita to relocate from Sydney to New York City continuing as a designer both fashion and interiors. It is out of these wide set of influences that Anita's sophisticated and deeply research driven approach to travel emerged. From combining an early morning street food tour in Mexico City with an evening dinner at Mexico’s top restaurant Pujol to the enchanting Dar Ahlam Kasbah in Morocco combined with desert camping. Anita consistently finds the right balance for her clients when it comes to seeking an authentic yet luxury experience. On a foray to Europe before heading to university, it became apparent that Blaine’s love for travel and experiencing new cultures would shape her educational and professional paths. She returned to live in Barcelona, Spain and then study in Buenos Aires, Argentina before graduating from the University of Arizona with a degree in Latin American Studies and Business. After university Blaine moved to New York City, where she spent 4+ years working for a premier luxury travel company. During this time, Blaine was able to expand her destination knowledge while searching for the most pristine beaches and undiscovered hole-in-the-wall dining experiences. In addition, she sharpened her ability to curate custom itineraries that met each individual client's unique desires for an unforgettable trip. Up for a new challenge and the opportunity to return abroad, Blaine signed on as the Director of Operations at a travel start-up, where she was tasked with overseeing the seamless logistics and travel operations of trips around the world for groups of remote working professionals. While traveling to a new country every month, she learned the value of ‘living like a local’ and sought out the most authentic coffee shops and cocktail bars from Bogota to Bali. With her combined experience and expertise, Blaine looks forward to working one-on-one with clients to curate unique and culturally fulfilling journeys near and far. With nearly three decades of experience in the travel industry, our extensive network runs deep. The relationships we have cultivated over the years with top guides, historians, naturalists, chefs, artists, athletes, hoteliers, fellow travel professionals, and tastemakers allow us to unlock each destination and grant our clients access that most travelers don’t know exist. The attention and care we put into designing an itinerary is faithfully executed by our in-country teams to ensure a relaxing and seamless journey, so that while we take care of all the details, you can focus on enjoying the experiences along the way.